Good answers to this question are few and far between. But one candidate which has so far attracted little interest from the analyst community is Quantum Computing. This is surprising, as what we are talking about is the next generation of computing processors, and they promise to have far more processing power than anything we’ve seen before. Because of this, Quantum heralds a huge new wave of disruption for the financial industry. Some of the phenomena associated with quantum science may seem closer to science fiction, but forward-looking companies are already starting to explore its implications. To put Quantum in context, Moore’s Law holds that every two years, conventional processor speeds will double. This linear progression reflects the capacity of processor manufacturers to scale down the size of semi-conductors used in processors. The principle that you can draw a straight line on a graph to represent increases in processing power has roughly held true in the decades since the Law was coined by Gordon Moore, of Intel, in 1965. A smartphone enthusiast can detect it in the announcements of chip makers in the mobile space. Last year’s flagship Qualcomm chip, the Snapdragon 821, used a 14 nanometre manufacturing process. This year’s equivalent, the 835, is built using a 10 nanometre manufacturing process and squeezes 3 billion transistors onto a chip. But as the scale of manufacturing processes on silicon chips drops closer to zero, the question of whether we can continue to expect predictable rises in computing power arises. Quantum Computing holds the key to averting this seemingly Malthusian crunch. If you prick us, do they not bleed? Entanglement – a phenomenon best thought of as pairs of particles which exist in different places, but whereby one reacts to stimulus placed on the other, instantaneously. Superposition – whereby according to predictions of quantum mechanics, microscopic objects can be in two places at the same time. This has been demonstrated on caesium atoms already. A machine which can harness these literally instantaneous processes will leave even existing supercomputers in the dust. Is “Peak Digital” round the corner? Utterly transformed and more flexible digital assistants (although they will need to be called something else, because they will no longer run according to the zeros and ones of today’s digital processors). Everyone expects that Artificial Intelligence will improve to the point that it is indistinguishable from human intelligence and indeed transcends it: Quantum is how that’s going to happen. This will equate to a hugely enhanced ability to deliver personalised customer service without human input. An arms race on the financial markets as quantum analytics is deployed to crunch the numbers and formulate trading strategies at lightning speed. The next big jump in fraud detection and anti-money laundering (AML) technology using Quantum-based intelligence. There is also the promise of unbreakable encryption. Leave alone the question of whether it would even be legal, if two particles can communicate instantaneously through entanglement without leaving a trace in the physical world, that communication should be essentially unhackable. This could revolutionise inter-bank and intra-bank communication and bring new levels of protection from cyber threats. So far, IDC has covered only one announcement from IBM on quantum. But the topic is starting to gather steam. The mainstream media is starting to take more interest, evidenced by this cover story in The Economist. At least one client of IDC Financial Insights has enquired about it. 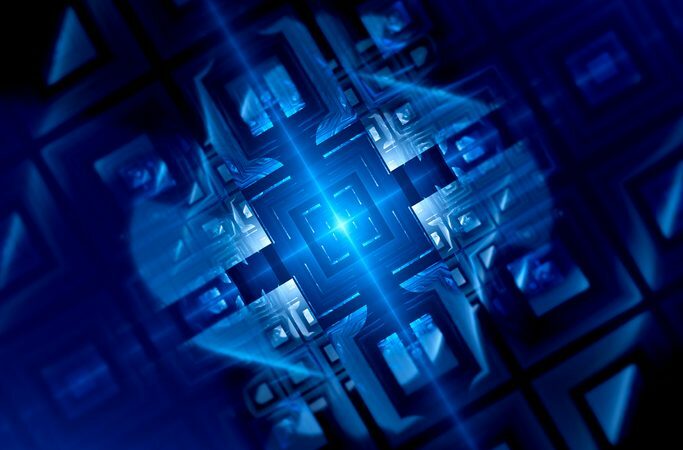 There was a recent announcement by Commonwealth Bank of Australia and a vendor, QxBranch, about their intention to simulate quantum to start understanding what the benefits might be down the line. And BT has been demonstrating its pioneering work in the field of quantum cryptography, which I had a chance to witness earlier this year at its innovation centre in Suffolk. Based on the sheer potential of Quantum Computing to bring new capabilities to many different areas of banking, and the fact that industry is already starting to wake up to the possibilities, it’s a fair bet that Quantum Computing will feature heavily in our thinking. You will see more of it in the research of IDC Financial Insights in years to come.